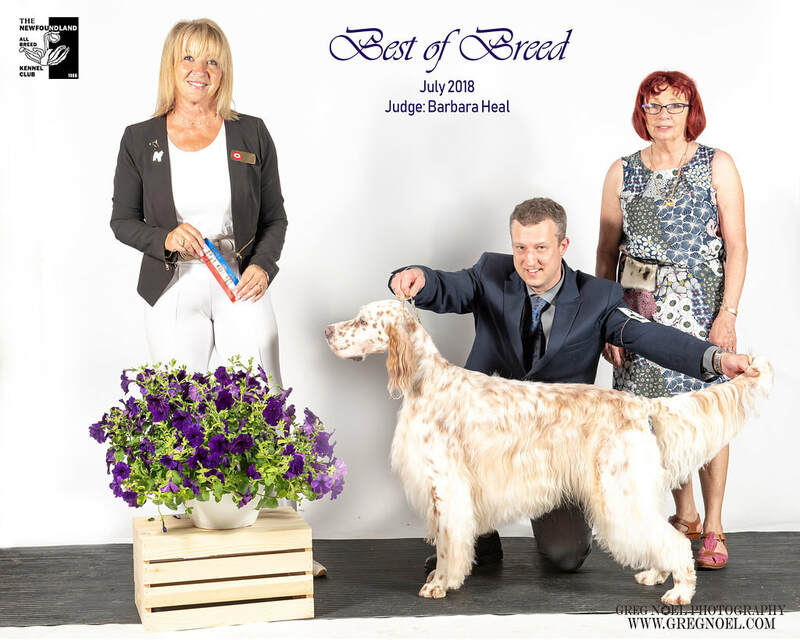 Plaisance Lord Kensley aka Mr. Darcy shown going Best Of Breed at the NKC shows on July 14, 2018. Mr. Darcy is owned & very much loved by Corey & Cathy White of St. John's, NL. Corey is enjoying showing him & Cathy is doing a great job with Mr. Darcy's grooming. He is well on his way to his championship.